With a clean and sleek design the MSI X470 Gaming Pro uses the X470 Chipset and supports the latest AM4 socket. The X470 Chipset has been designed for overclocking and can support AMD processors from A-Series/Athlon up to Ryzen 7 Processors. The MSI X470 Gaming Pro can truly be at the heart of a graphically dynamic system with support for AMD's CrossFireX technology which enables you to install and link multiple graphics cards to enhance performance. The MSI X470 Gaming Pro, an ATX motherboard, uses the cutting edge X470 Chipset and has been created with overclocking in mind. Since the motherboard complies with AMD's CrossFireX technology, graphic performance can be further enhanced by linking multiple GPUs. The MSI X470 Gaming Pro has numerous technical innovations, enhancements and an array of storage solutions. There are two PCIe 3.0 x16 slots, both using a full 16 lanes to connect to the chipset, as well as a further PCIe 2.0 slot. It has dual M.2 slots capable of running ultra fast NVMe-M.2 SSDs, resulting in a data transfer rate of nearly 4 GB/s. This makes M.2 PCIe SSDs up to eight times faster than SATA 6G SSDs. There are also six SATA 6G connectors for 3,5"- or 2,5" hard drives and -SSDs (incl. RAID support). Up to 64GB of RAM can be added across four DIMM slots. The MSI X470 Gaming Pro offers excellent options for connecting external peripherals. The motherboard comes with an I/O panel boasting an array of the very latest and greatest connectivity standards including ten USB 3.1 and six USB 2.0 ports. Video is displayed via an HDMI or DVI-D while a Realtek® ALC892 Codec ensures excellent audio output. MSI X470 Gaming Pro includes support for MSI's own MSI Mystic Light utility lighting standard. This enables users to coordinate RGB lighting components to achieve effects such as static, breathing and strobing. Memory 4 x DDR4 memory slots, support up to 64GB Supports DDR4 1866/ 2133/ 2400/ 2667 Mhz by JEDEC, and 2667/ 2800/ 2933/ 3000/ 3066/ 3200/ 3466 Mhz by A-XMP OC MODE1 Dual channel memory architecture Supports non-ECC UDIMM memory Supports ECC UDIMM memory A-series/ Athlon™ processors support up to 2400 MHz. And the supporting frequency of memory varies with installed processor. PCI Slots 2 x PCIe 3.0 x16 slots (PCIE_1, PCIE_4) Ryzen™ Desktop Processors support x16/x0, x8/x8 mode Ryzen™ Desktop Processors with Radeon Vega Graphics and A-Series/Athlon™ Processors support x8/x0 mode 1 x PCIe 2.0 x16 slot (PCIE_6, supports x4 mode)1 3 x PCIe 2.0 x1 slots PCI_E6 slot will be unavailable when installing M.2 PCIe SSD in M2_2 slot. Storage AMD® X470 Chipset 6 x SATA 6Gb/s ports 2 x M.2 ports (Key M)1 M2_1 slot (from AMD® processor) supports PCIe 3.0 x4 (Ryzen™ Desktop Processors ) or PCIe 3.0 x2 (A-series/ Athlon™ Processors) 2242/ 2260 /2280/ 22110 storage devices M2_2 slot (from AMD® X470 Chipset) supports PCIe 2.0 x4 and SATA 6Gb/s 2242/ 2260 /2280 storage devices SATA1 port will be unavailable when installing SATA M.2 SSD in M2_2 slot.PCI_E6 slot will be unavailable when installing PCIe M.2 SSD in M2_2 slot. 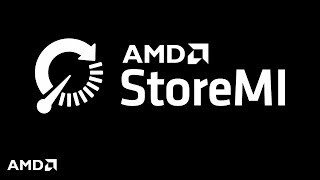 More links for "X470 Gaming Pro AMD X470 (Socket AM4) DDR4 ATX Motherboard"